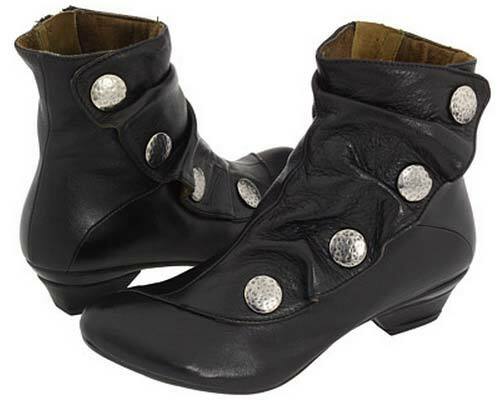 These Eric Michael Soho boots will add a fashion-forward element to your winter wardrobe. The leather is very soft and the lining is cushy and soft. They come in black, brown and blue leather. 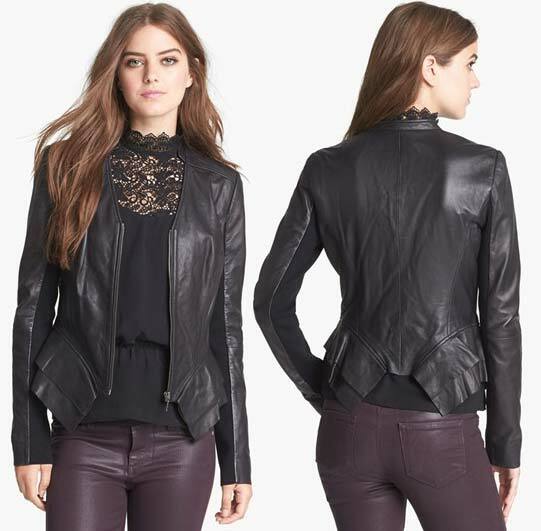 This Leather Peplum Jacket by Hinge has a winged peplum and a collarless V-neckline that sharpen the tailored silhouette. The peplum is adorable and adds a real feminine touch to the otherwise edgy leather jacket. Wear this with pants, jeans, dresses, etc. It will be super versatile. 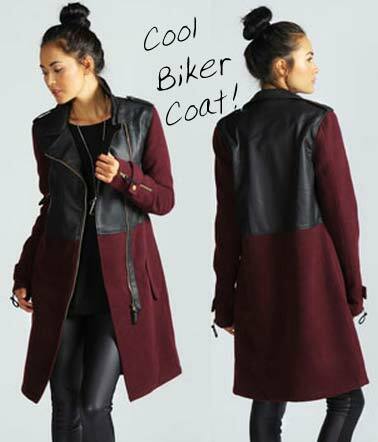 This Roxie Wool Mix 2 In 1 PU Biker Coat mixes a rugged style with a berry color. Will look great with your favorite blue jeans or black leather pants.